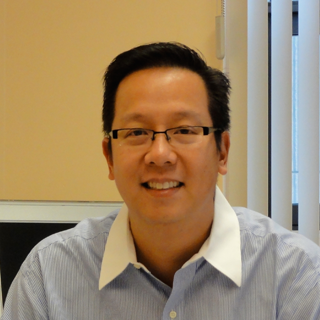 Dr. Howard Leong-Poi is an attending staff cardiologist at St. Michael’s Hospital. He is an Associate Professor in the Department of Medicine, University of Toronto. He completed his Doctor of Medicine (1992) and specialty training in Internal Medicine and Cardiology at The University of Toronto. He then undertook a Research Fellowship in Echocardiography at The University of Virginia, Virginia, U.S.A., funded by The Canadian Institutes of Health Research and The Heart and Stroke Foundation of Canada. Clinically he specializes in non-invasive cardiac imaging, in particular echocardiography, stress and contrast echocardiography. His clinical and echocardiographic interests include ischemic and valvular heart disease. He holds the Brazilian Ball Research Chair in Cardiology, and is a Clinician Scientist in the Keenan Research Centre at the Li Ka Shing Knowledge Institute. His research, funded by The Canadian Institutes of Health Research, Heart and Stroke Foundation of Canada, Ministry of Research and Innovation and the Canadian Foundation for Innovation, focuses on molecular imaging using contrast ultrasound and ultrasound-targeted gene- and cell-based regenerative therapies for cardiovascular disease and cancer.